A-Max Wire & Cable Inc.
Why waste HOURS creating or searching for 3D models?! Our software automatically creates 3D STEP models – see samples! 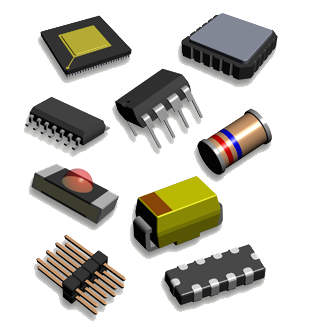 Make your PCB design projects pop with the Library Expert for 3D STEP! We simplified the creation of 3D parts so much, yourreceptionist can create stunningly high quality 3D parts with 5 minutes of training! Our FPX file browser allows you to search the database for the component you need, then simply push a button to automatically generate a high-resolution 3D component package in standard STEP format! Used in conjunction with our PCB Library Expert, you can build both footprints and 3D models together. 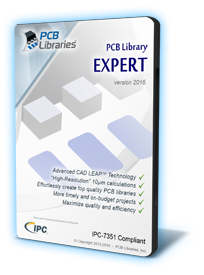 The PCB Library Expert empowers you to make remarkably clean, professional PCB layouts with minimal effort. Verify your footprint solder joints with accurate 3D models. Visualize the physical component body, the lead forms and polarity markings with how they line up with your silkscreen outline and pad geometry before you manufacture your PCB design. Don’t blindly spend big bucks on manufacturing without validating the accuracy of your footprint first. Use 3D technology made possible by PCB Library Expert! Altium, Cadence, CADSTAR, CR-5000, Expedition, Solid Edge, SolidWorks, and more! Auto-generate high quality 3D STEP models from component dimensions! wow!! Specify different colors for various parts of component (body, leads, LED, etc) wow!! Set of unique component packages that may be used with well over 300,000 parts! All 2016 updates are free! User definable preferences or define and customize default rules wow!! * Complimentary access to POD lasts while user has latest released major version (eg. v2015, v2016, etc); latest version is highly recommended as POD data format is periodically updated to accomodate new Library Expert features. This license entitles you to install and run the software on one local computer. This solution is ideal for the PCB design contractor or companies with one PCB designer. The Single User is licensed on USB key, and can be easily moved to any computer as needed. Contracting and/or always changing computers? No problem, we make it a snap!! 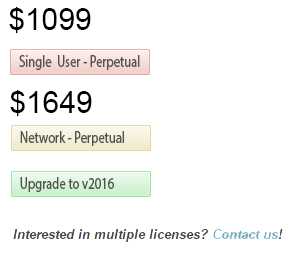 The Network License is available for all the users you need! It is ideal where library standardization is desired, regardless the CAD formats used. Professionals or novices can now easily create libraries according to company specification and customer requirements. Before you purchase anything, you can evaluate the software to see how it works for you. It only takes minutes to evaluate! Contact Us if you have any questions or prefer a walk-through! MS-Windows based computer, running Windows 8, 7, or Vista (Windows XP may work, but is no longer supported by Microsoft), the Microsoft .NET Framework 4.0 (downloadable from Microsoft), 15MB of hard drive space, a USB port, and display resolution of 1024 x 768. See samples of our high quality, or just download high-resolution royalty-free 3D images!! The Library Expert is Windows 10 ready! © CADParts & Consulting. All rights reserved.